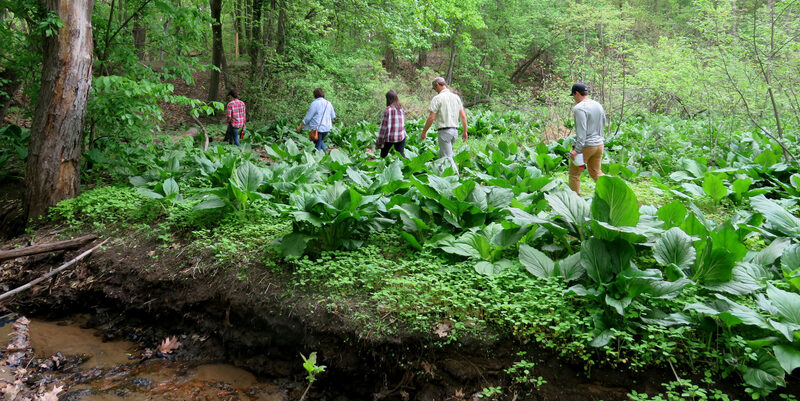 This summer two edible landscape projects RDG has worked on, both at challenging sites, have come together in an interesting way: one floated right up to the other. Two re-imagined industrial relics side by side: the SWALE floating food forest docked at Concrete Plant Park. SWALE is a food forest built atop a barge that travels from pier to pier throughout New York City waterways. Once used to ferry sand to construction sites, the barge is now hauling educational programming all across the city. RDG worked with Mary Mattingly, SWALE’s founding artist, to help design a multi-layer edible landscape for the barge; the resulting floating food forest invites visitors to freely partake of the harvest, and acts as an interactive cornerstone of SWALE’s mission of strengthening “stewardship of public waterways and land, while working to shift policies that will increase the presence of edible perennial landscapes”. 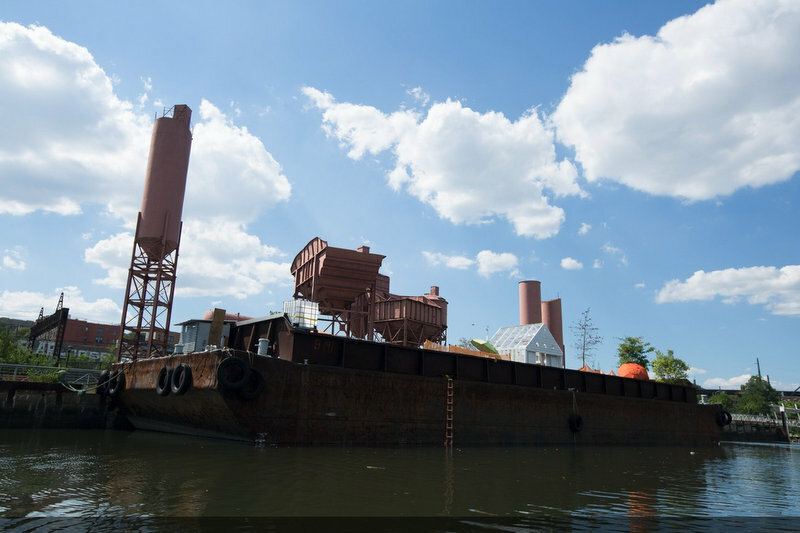 Since June, the SWALE barge has been docked at Concrete Plant Park along the west bank of the Bronx River. Once an abandoned industrial landscape, the site is now a dynamic and evolving community park. 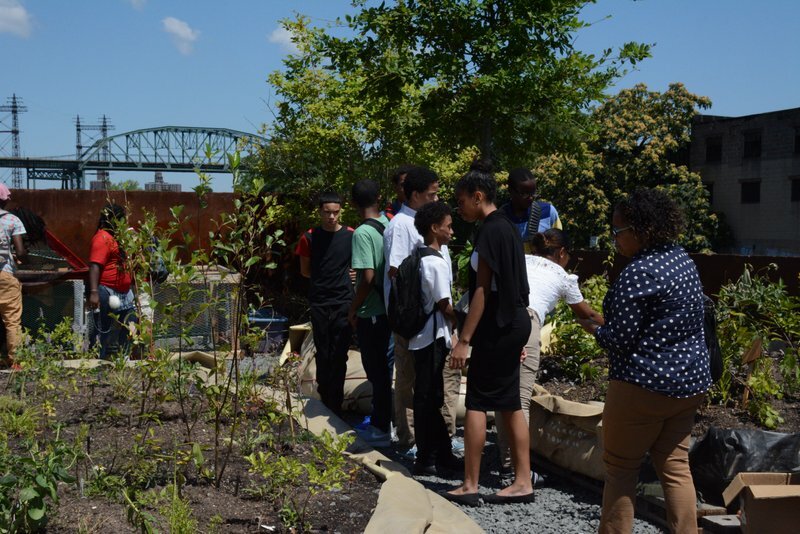 This spring RDG partnered with FoodScape Designs to conceptualize The Foodway at Concrete Plant Park—a NYC Parks pilot program that aims to be a productive community landscape where food, culture, and history intersect. 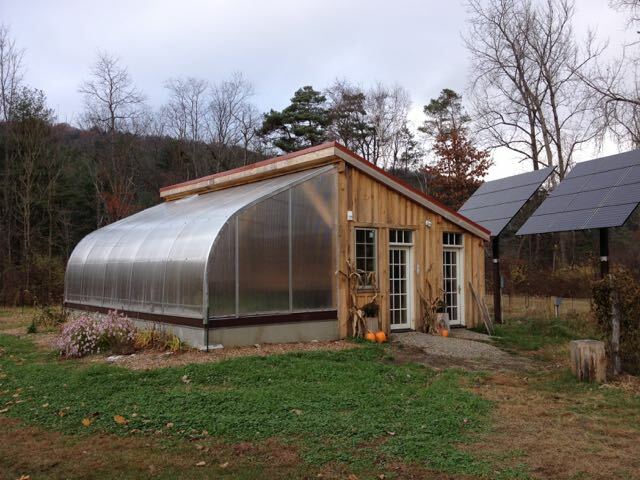 The first round of multi-functional plants went into the ground in July. A planting plan detail of the CPP Foodway’s northern terminus. It’s exciting to see these two projects literally side-by-side. They are both hopeful examples of how ecological stewardship of land and water can be engendered in the most unlikely places. Stay tuned for a future post about the history and details of the Concrete Plant Park Foodway.